Register Now for Lexington's 22nd Annual Family Services Conference! Lexington - Fulton County Chapter, NYSARC, Inc., will hold its 22nd Annual Family Services Conference on Thursday, November 10. 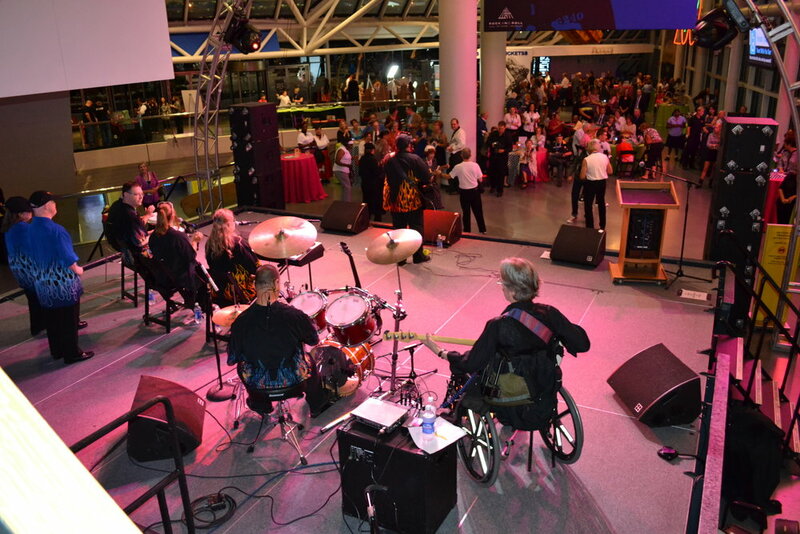 This conference is an opportunity for parents and families of individuals with disabilities, professionals who support individuals with disabilities and individuals with disabilities themselves to meet and share stories, strategies and resources for supporting young people with disabilities. The conference will feature nine guest speakers presenting on a variety of topics about parenting, teaching and supporting individuals with differences. First, presenting both the keynote presentation, “The Movement of Imperfection,” and a breakout session, “Voices of Imperfection,” are Gina (Terrasi) Gallagher and Patricia Terrasi. The sisters are the co-authors of “Shut Up About Your Perfect Kid: A Survival Guide for Ordinary Parents of Special Children,” a book about the frustrations, sadness and stigmas they face as parents of children with disabilities. The book provides advice on all aspects of parenting children with special needs, such as finding support groups and fighting for in-school supports. The conference will also welcome Bethany Youngs, LCSW, and Joy Stockwell, Self-Direction specialist for OPWDD, as they present “Exploring Self-Direction.” Youngs has more than 10 years of experience in non-profit agencies and has been with the OPWDD Self-Direction unit since September 2016. Stockwell has been with OPWDD for 29 years, serving as a direct support professional and a Self-Direction liaison for the Capital District. Both women are dedicated to helping individuals live the lives they want through the Self-Direction program, which lets them to choose the supports they want and which staff and organizations provide them. Tina Beauparlant will present “Future Planning from a Parent and Advocate’s Perspective.” Beauparlant is a regional program manager, education specialist, program assistant and educational advocacy specialist with the Capital District of Parent to Parent of NYS. Her presentation will focus on preparing for your child’s future and making sure their needs are met. Another keynote address will be presented by Megan O’Connor, OPWDD’s Deputy Commissioner of the Division of Service Delivery – Regional Offices. O’Connor began her career as a direct support professional at an OPWDD provider agency and worked her way up to leadership. She has been with OPWDD since 2012, when she accepted the position of Deputy Commissioner for the Division of Quality Improvement, and in her current role she oversees and manages OPWDD Regional Office Operations. Steve Szalowski, LCSW-R, will present “Social Physics: The Paradox of Behavior.” Szalowski helps individuals develop strategies to develop functional independence in an ever-changing world of social, academic, professional and familial expectations. He has coordinated and co-facilitated more than 100 groups for school-aged individuals on the autism spectrum in grades 3 through 12. His presentation will cover how to adjust behavior to the social physics of the moment for more success with homework, social situations, participation in home activities and more. Jordan Jankus will present “Tech for Life: Apps for Empowerment, Learning and Fun!” Jankus is a technologist at the Arc of Westchester and the father of a daughter with developmental disabilities. In searching for ways to empower her, he became involved in assistive technology and now supports individuals with person-centered technology solutions. His presentation will explore apps available for smart phones and tablets that help people achieve increased independence and greater access to the community. Julia Kelly, assistant coordinator of Statewide Special Employment Programs for OPWDD will present “Pathway to Employment.” Kelly served as co-chairperson of the NYS APSE’s Legislative Committee for more than 15 years and was a member of ACCES-VR’s Statewide Policy and Procedure Committee. Her presentation will provide information on how Pathway to Employment, a new OPWDD service, comprehensively plans and prepares for an individual’s employment to achieve successful job matches in the community. The conference will begin with registration at 8 a.m. and will continue until 4 p.m. To register and arrange for transportation and respite/childcare, please call Lexington Family Services at (518) 773-2014. 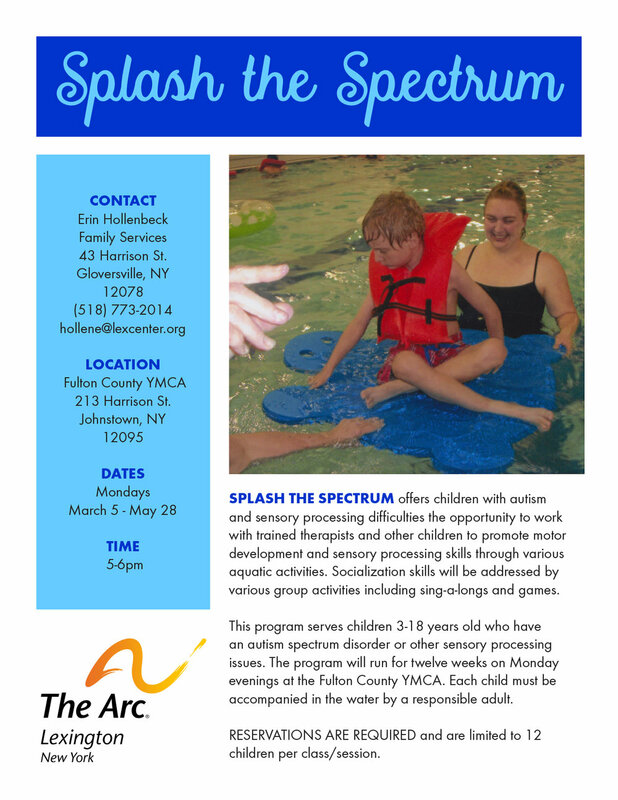 The cost is $75 for professionals and free for parents, families and individuals with disabilities. Attendees may pay at the door or mail registration and payment to Lexington Family Services at 43 Harrison Street, Gloversville, NY 12078. Here are the results from this year's Lexington 5K which took place on Saturday, June 6. Congratulations to all the runners! The Paul Nigra Center for Creative Arts is pleased to announce its first public offering – exciting, one-week theater camps for children and teens taught by local actress, director, singer and drama teacher Roberta Esposito. There will be seven weeklong camps in July and August open to all children in the community: two camps for children aged 4 to 7, two for 8- to 11-year-olds and three for theater fans ages 11 and up. Children of all experience and skill levels are welcome. There is a 10% discount available for students taking more than one class, for multiple students in the same family and for the children of Lexington employees. For more information, including a camp schedule and cost of attendance, and to register, please visit www.pncreativeartscenter.org/theater-camp. At checkout, use the coupon code SUMMER2015 to receive the 10% discount. We hope your child will join us for a summer of fun and enrichment in the performing arts! 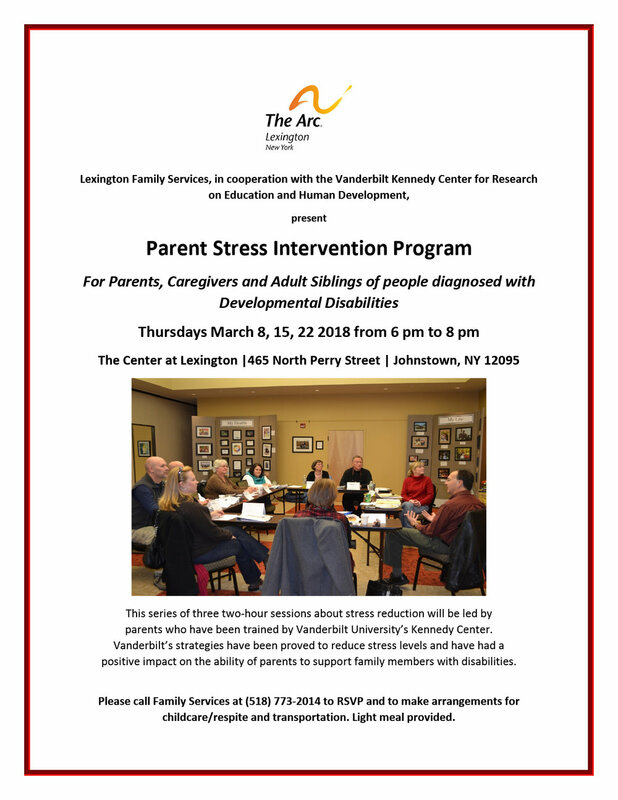 March is Developmental Disabilities Awareness Month and to celebrate, Lexington sent daily emails to the entire agency that celebrated the ABILITIES of several individuals that we support. There are many fantastic stories - we hope you enjoy reading them as much as we have! Kim has been an awesome member of our Lexington family since 1995. Kim is a hardworking and dedicated team member of “The Crew” Cleaning and Janitorial Services. She has successfully progressed through the enclave employment readiness program and acquired the requisite skills required for competitive community employment through Employment Resources. Kim will be pursuing a position in the Food Service or Retail Industries. Vanessa is an endless source of creative energy. Her artistic ability explodes on paper. She sees beauty everywhere and captures it in her artwork as well as through digital imagery. She has sold $925.00 in artwork to date. She was the recipient of the Spirit Award at VOICE 2013. Vanessa’s painting titled “Zebra” was selected as the Call for Artist brochure for VOICE and also took third place at the 2013 NYSACRA Exhibition at the Sagamore Hotel in Bolton Landing, Lake George, NY. Vanessa truly SHINES! David reached the peak of Vroman’s Nose in Fulton, NY with Pathfinders Day Hab last summer. David doubted himself at first; he said he could never climb that high. He then successfully climbed to the summit, a 700 feet elevation! Congratulations on your accomplishment! Shireen has been employed at Encore Kids since May 2014. She is definitely manager Ann Nicolella’s “girl Friday” as she can do all the computer work, book work, register work, and close everything out at the end of her shift. The best part is that all those things are her favorite things to do. She is an outstanding employee and an absolute joy to work with. She is great with the customers and always has a smile on her face. She is everything that a retail manager hopes for in an employee. Shireen is a valuable asset to the Encore Kids team. During the Family Services Summer Bash, Athena became very interested in joining the Twin City Twisters after watching the group and her peers perform. Athena began attending practices with the special needs group. This became a great motivator for Athena. Athena is now not only a part of the special needs group, but the tumbling group and competitive teams as well. She has even gotten her whole family to join her! Athena is very proud of accomplishments. She has performed at halftime shows for local high school sporting events as well as the Schenectady Legends, a professional basketball team. Great Job Athena and keep up the good work! Carmen has been working on gaining more independence. Recently, she has been able to purchase her own food and prepare her own meals. She really enjoys being able to pick out the food that she would like to eat and preparing her food the way she used to. Carmen loves making the house smell delicious with her creations. Olivia was recently selected by the Student Affairs Committee at Schenectady County Community College to be part of this year’s Who’s Who Among Students in American Universities and Colleges. This honor is bestowed upon students from 2,842 institutions in all fifty states and the District of Columbia. Selection for this distinguished award is based on cumulative GPA as well as involvement in campus and/or community activities. Congratulations on receiving this honor, Olivia! Levi had a special day at Adaptive Skiing at Windam Mountain. His entire family took the day off to join him on the slopes. Having his family alongside of him meant a lot. Andrew is a fun, energetic guy who loves to help and be involved with everything! He loves to read and is super helpful. Every morning Andrew helps out by taking lunches out of the fridge, reading the names on the bag and putting them in the right lunch box. Michael began attending the Fonda Reformed Church in the beginning of 2014. He has handed out church bulletins and has hosted coffee hour as a service to the church. He is pictured here with his friend Joan who always makes sure to greet Michael every Sunday. Recently, a member of the congregation approached Michael to see if he would like to become a member of the church. Michael responded “yes,” and the congregant approached the pastor to inquired on Michael’s behalf about him becoming a member. Michael will be meeting the requirements to be a member of the Fonda Reformed Church next month, he will meet with the elders on April 26, and he will become an official member on May 3. It has been an amazing experience to see Michael become a valued member of his community. He has a true community family with the members of his church. Adrienne is best known as a member of Flame, but, as impressive as that is, this young woman has many other accomplishments under her belt. She went to a Blind and Visually Impaired School in NYC and then moved to upstate NY when she was a teenager. She received a certificate from Vo-Tech Cooking College in Culinary Foundations of Foods. She dreams of being an astronaut, and is looking into taking Astro Physics courses. She skis, roller blades, ice skates, and likes to be physically active. She plays guitar, for which she took lessons, but taught herself piano and the Tonette, a type of recorder. Linda mentioned that she had a nice poem book to share during spiritual/religious learning activities at Kaleidoscope. She brought in the book and unbeknownst to anyone it was her own personal collection. Linda has been writing poetry for over 40 years! Kaleidoscope is currently helping her with looking into having some copies bound and maybe even published. Dr. Peter F. Diamond, co-founder of Amsterdam Family Practice, along with provider of disability services Lexington, and highly-regarded Associates from St. Mary’s Healthcare were honored at the 19th annual Celebration of Healthcare Excellence, on Monday, February 23 at the Holiday Inn, Johnstown. This year's honorees included medical professional Dr. Peter F. Diamond, Lexington and several St. Mary's Associates. Lexington was honored not only because our services touch people from every age and with a wide range of needs, but because the essence of Lexington is highlighted by creativity and compassion for all we serve, and our strong presence in the community thanks to our rock band, Flame; the Paul Nigra Center for Creative Arts and Transitions; and our many unique programs and partnerships with agencies and companies around the region. It was a fantastic night and we were thrilled to be honored. 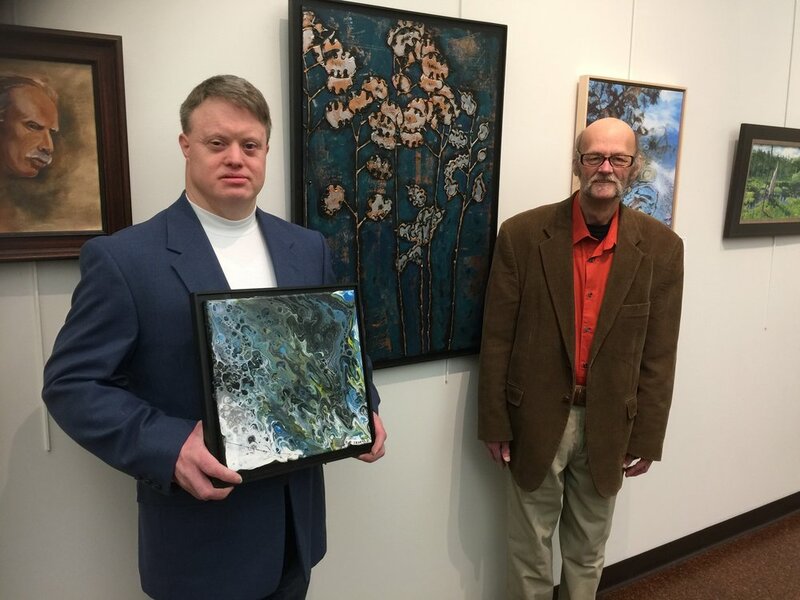 Ross Carangelo, an accomplished artist who studies art in Lexington’s Creative Expressions program, has had his original painting “Architectural Design” accepted into the Arkell Museum at Canajoharie’s Annual Juried Art Show. Carangelo is a very meticulous artist, giving great thought to each brush stroke. His artwork is created over a period of time, as he will first work up a design in pencil and then bring it to life through paint and multi-media effects. He has created many one-of-a-kind works, sometimes selling them before he’s had an opportunity to exhibit them. He was the proud recipient of The Curators Award at the 2013 “Through My Eyes” exhibit at Saratoga Bridges. Artists from all over New York State submitted work and 37 were chosen by Juror Joel Chapin to display their art in The Arkell’s annual exhibit. Chapin is a professor of Fine Art at Fulton-Montgomery Community College (FMCC) and curator of over 57 exhibitions at FMCC’s Perrella Gallery whose art can be seen in permanent collections at the State University of New York and The Hyde Collection in Glens Falls. The Juried Art Show will be on view in the Arkell Museum’s Community Gallery from December 5, 2014 through January 25, 2015 with an opening reception that is open to the public on Friday, December 5 from 5-7pm. The Arkell Museum is located at 2 Erie Boulevard in Canajoharie, New York and is open Tuesday through Friday from 10:00am – 5:00pm and Saturday and Sunday from 12 – 5pm through the month of December and Tuesday through Friday from 11:00am – 4:00pm and Saturday and Sunday from 12 – 4pm through the month of January. The Arkell Museum has an extensive collection of American paintings, primarily from 1860–1940. Almost all of the paintings in the permanent collection were purchased by Bartlett Arkell for the people of Canajoharie. The American painting collection includes 21 works by Winslow Homer, and significant paintings by many distinguished artists, including George Inness, William M. Chase, Childe Hassam, Mary Cassatt, Georgia O’Keeffe, Robert Henri, and other members of The Eight. Permanent and changing exhibitions also feature selections from the museum’s Mohawk Valley History collection as well as the Beech-Nut archives of early twentieth-century advertising material.